Picture this: The sails are raised and billowing in the wind, and the only sound is the ocean lapping the side of the ship in a rhythm that can easily lull anyone to sleep. Or this: The purr from the engines of a gliding mega-yacht docking into harbors, coves and exotic ports-of-call where behemoth cruise ships dare not venture. What you’re picturing is what’s in vogue for the well-heeled traveler—a more experiential cruise vacation that is ideal for the client who is done with long waits at the buffet line and tired of walking up and down Deck 9 searching for the spa or the gaming room so they can drop off the kids. The key to cruising on a mega-yacht or sailboat is access. What the big ships can’t do, these ships can; so it’s easier to hop around the Greek Islands or snorkel and kayak right off the boat—and a plus is sharing this space with a minimal number of passengers (sometimes even less than 100). The world is full of islands, some big, some small; some found in the Caribbean, some sprinkled around Asia and the Mediterranean. 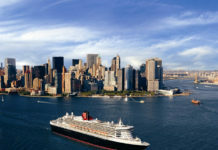 Here we highlight some notable cruise lines that tour the islands of the world, in style. Compagnie du Ponant, the French cruise line founded in the late-1980s based in Marseille, France, is all about cruising the globe in French sophistication. The line’s sleek mega-yachts and 3-mast sailing ship seep with international flair: French cuisine prepared by French chefs; interior spaces and sizable accommodations designed by French designers; a bilingual staff (fluent in French and English); and spa treatments with the French beauty brands Carita and Sothys. 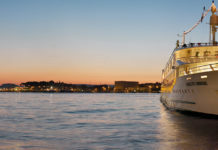 The company is celebrating its 25th anniversary with the debut of its third mega-yacht in July, Le Soleal, a 132-stateroom ship venturing into the Arctic with excursions to Iceland, Greenland and the Northwest Passage. The fleet also includes Le Ponant, a 3-mast sailing yacht with 32 staterooms, and Le Boreal and L’Austral, both mega-yachts with 132 staterooms. “We can take guests to islands around the world, as well as tiny coves; places they might never have seen or never heard of that are very remote and can only be accessible by a yacht,” says Terri Haas, chief commercial officer for Compagnie du Ponant. These elegant yachts do take passengers to locales wherever there is water. According to Haas, they offer 3- to 21-night tours throughout the Arctic, Russia, Asia, the Caribbean, South America, the Baltic, the Greek Islands…the list of destinations goes on and on. 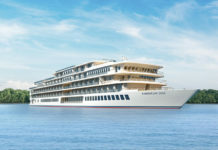 But something about Compagnie’s 9-day Osaka-Hong Kong tour ($3,800 pp dbl, all-inclusive) aboard Le Soleal caught our eye. It takes passengers from Osaka to Kagoshima, Japan before heading to Naha, the capital city of Okinawa Island. The mega-yacht then cruises to Keelung, Taiwan and finally Hong Kong, China. Haas says the demographic is between the ages of 45 to 65 years old; very active, interested in land activities, and venturing off the ship to discover tiny islands or destinations. A family-friendly cruise operator, Compagnie sells connecting staterooms, and offers children’s menus. The Ponant Kids Club, which is free for one child (8-12 years old) sharing a cabin with two adults, keeps the young travelers busy with games, piano lessons, tea parties, and a host of other activities. When sailing on one of Star Clippers’ classic clipper ships, forget the Broadway-style shows; announcements made over the loudspeaker; and boarding a bus with hundreds of other passengers on an excursion to swim with stingrays or dolphins. “When you’re on a Star Clipper ship you can climb the mast, lay out on the webbing supported by the bow or sit on the deck and watch the crew raise the sails as the captain turns off the engine so you can feel the slow back and forth movement of the boat—it’s magical,” says Bill Dwyer, v.p. 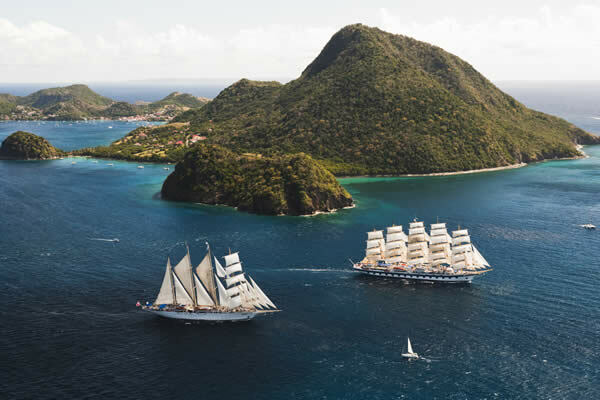 of sales for Star Clippers, a tall-ship sailing operator with three full-rigged vessels: the flagship 227-passenger Royal Clipper, and 170-passenger twin-ships Star Flyer and Star Clipper. For clients who want to experience the Caribbean on a ship fueled by the ocean winds, recommend the idyllic 7-day Windward Islands tour (starting rates $3,050 pp dbl). The Royal Clipper sails from Barbados to St. Lucia before heading to Dominica; Falmouth Harbor, Antigua; Iles des Saintes; and Martinique. The 7-day Leeward Islands tour (starting rates $2,950 pp dbl) on board the Star Clipper travels to St. Martin, Nevis, Guadeloupe and St. Barths. Star Clippers’ itineraries do not include full days at sea, which means every day the ship docks at a new port-of-call and guests are recommended to venture off and explore each destination solo, or on excursions with a small group. The onboard lifestyle on all three vessels consists of complimentary waterskiing, windsurfing and snorkeling. Guests can participate in talent shows, scavenger hunts and crab races; grab a book in the library; sip a cocktail in the lounge; or relax with a spa treatment. Each ship has a main dining room where breakfast, lunch and dinner is served. “There are no cruise directors on board, we don’t give tours of the bridge nor do we play bingo. We have very few organized activities. We let our guests determine what type of experience they want to have as opposed to us dictating it to them,” says Dan Chappelle, v.p. 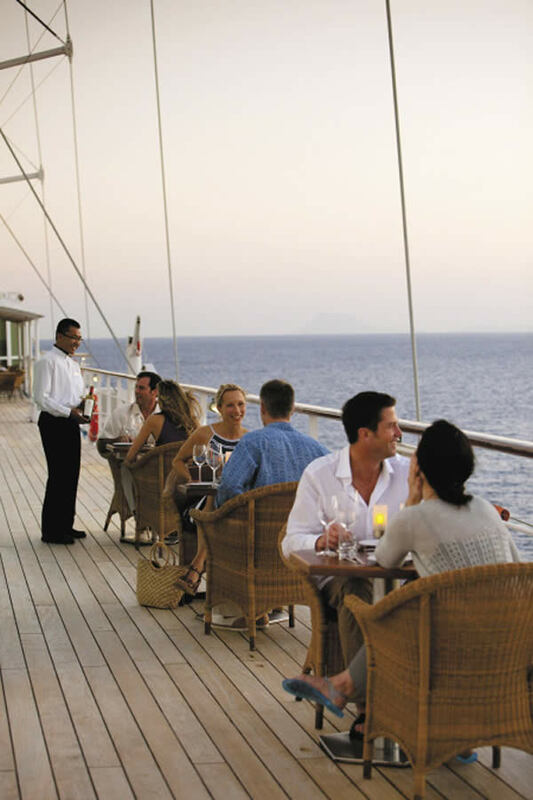 of sales for Windstar Cruises. Sailing with Windstar is all about feeling as if you’re on your own private yacht with the open ocean and the wind as a guide, complemented by the fact that the fleet only carries from 148 to 312 passengers. The Windstar fleet includes sister ships Wind Star and Wind Spirit, both offering 74 staterooms for up to 148 guests; and the larger Wind Surf, which carries 312 guests and offers 123 deluxe staterooms, although the fleet is expanding. Recently, the company’s owner Xanterra Parks & Resorts purchased three motorized Seabourn luxury cruise ships: the Seabourn Pride, Seabourn Legend and Seabourn Spirit—each ship will be renovated to fit Windstar’s branding. 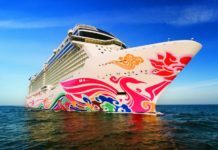 The ships can each carry up to 208 passengers and include 104 suites. The expansion will allow Windstar to sail to new destinations such as Asia and South America. The company already travels to nearly 50 nations and 100 ports throughout Europe, the Caribbean and the Americas. 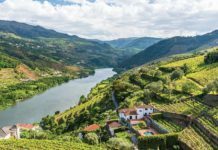 Windstar’s Islands of Italy tour ($3,199 pp dbl) is for the clients who want to leave the mainland and visit the quaint islands only miles from the boot-shaped country. 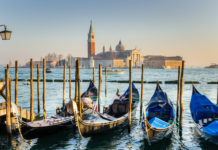 The voyage departs from Rome before heading to the picturesque island of Capri, then it’s off to Lipari, Sicily; followed by a scenic tour of Stromboli; Porto Vecchio, Corsica; Portoferraio, Italy and finally back to Rome. Although the two sister ships and the Wind Star vary in size, the boats do offer impressive onboard amenities from its WindSpa to salt-water pools, bars and lounge areas, not to mention that the stateroom amenities include products from L’Occitane and luxury bedding. One notable dining experience Chappelle shared with us was Candles, a restaurant offered across Windstar’s fleet. This reservations-only dining experience has guests enjoying al fresco dining under the stars on tables decorated with candles. Lindblad Expeditions’ Sea Cloud is a sailing yacht that has hosted royalty, was serviced during wartime and has sailed the world; it’s also a great option for clients who are really looking to sail with an intimate group—only 58 guests on board in 28 outside cabins. Since Lindblad is all about adventure—guests are accompanied with a team of four Expedition naturalists (one is a Lindblad-National Geographic certified photographer) who are considered more than just tour guides, on all Mediterranean and Caribbean tours. The average age of guests sailing on the Sea Cloud is between 55 to 60 years old, although all ages are welcome on board. Sea Cloud’s 10-day Turkey and Greece: A Sailing Odyssey (from $7,990 to $18,890 pp dbl) has the 4-masted vessel skirting the Turkish coast visiting sites like Didyma and Bodrum before sailing west to the Greek Islands of Santorini and Delos before heading toward mainland Greece.